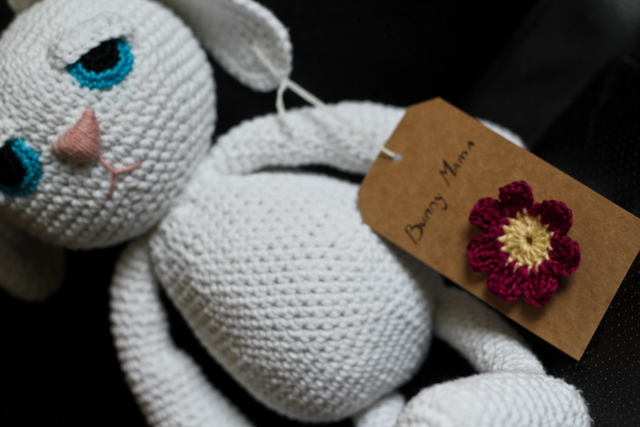 As a while ago I was working on a bunny who was in fact my first custom order for a crocheted toy I started thinking of giving it more professional look and decided it needed a lable. Than I had to decide what to put on a lable and how that lable should look. I didn't really want to sew the lable to bunnies body, so I came up with the idea to use something like paper tags. Of course it had to contain some washing instructions, some info of who made the toy and some kind of a logo. Washing instructions were the easiest as you can find it on yarn lables. But name and logo took me quite a long time. I wanted something easy to remember, something sweet (but not too sweet), something connected with babies and toys. I asked some of my friends and relatives with no result really. And then suddenly it just came to me, just appeared in my head - I love bunnies, I make bunnies and I am a mother which inspires me to make the toys. So who else I am if not A Bunny Mama? Then I spent some time thinking about the logo. Does it have to be a bunny? A painting, a drawing, a stamp? 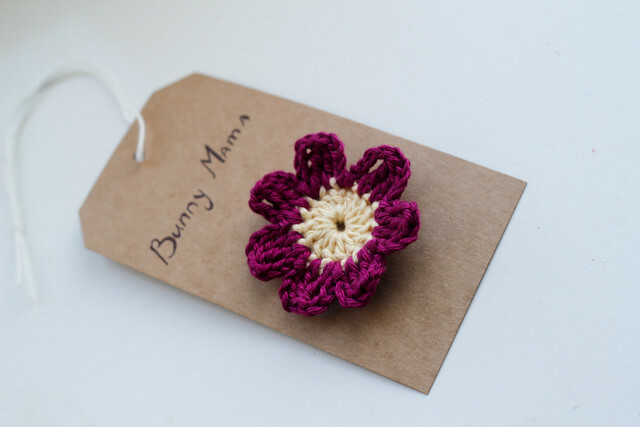 And then again it just appeared in my head - sweet, handmade, crocheted, bright - a cotton crocheted flower! It just tells everything I want to tell - the material, the colour, the way I work. Now every toy I make will have it's ovn lable with a crocheted flower and washing instructions on the back. I most certainly do love it! 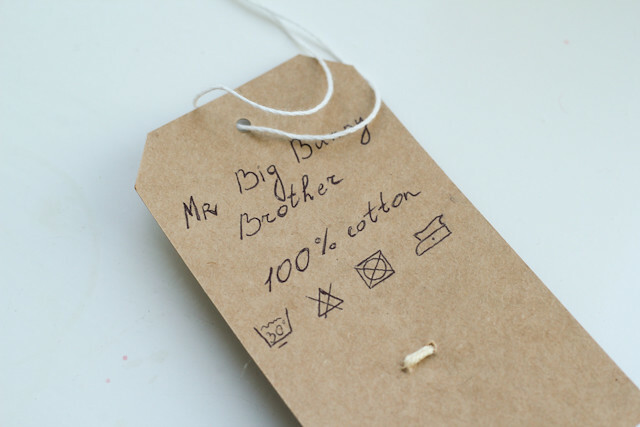 :) What better way to label a handmade toy than with a handmade label? It looks really pretty, but I would think of font style (I like how Bunny Mama looks, but the reverse side needs some more work on it) :) Maybe you should print this part? I'm still thinking of it. Probably will make the printed ones for all the 100% cotton stuff I'm planing to make. you could print sticky labels with the washing instructions and attach those to the hanging labels, that would be easier than trying to print the shaped labels. Do love the labels though Darya, so simple which makes them very effective.